E kalamai ia’u for what might seem negative, but using the term “aboriginal Hawaiians” could be misinterpreted as being racist. I know this was not the intent but it could be subject to accusations of being so. I hope we all understand that all descendants of Hawaiian Kingdom subjects residing in the Kingdom regardless of race should be afforded equal protection as protected persons. The word “unless” seems to insinuate that if the State of Hawaii transforms itself into a Military Government recognizable under international law that they can continue committing these war crimes. I know that was not the intent here either but that’s how it reads. Mahalo for the continued education on international laws of occupation, the history of Hawaiian Kingdom international relations, etc., etc,, etc. 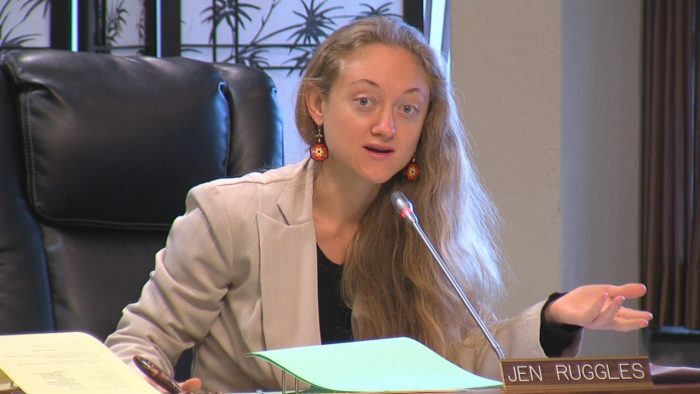 We await the outcome of this Council member Ruggles’ letter, and what impact it will have on the State of Hawaii’s proper governance? Will they continue the bulkhead barrier, to deny following the law of the land, the Hawaiian Kingdom Constitution. As it stands today, the SOH and Governor Ige’s administration by using U.S. Federal and Domestic laws to provide improper policies of procedure on our Aina and people, is in violation of the U.S. Constitution, International law accords and Hawaiian Kingdom law.